As we bid farewell to November, we enter well and truly the holiday season. It's a very busy time in the bookshop because, as we all know, regardless of the occasion, books make the perfect gift. Not only that, but they are the perfect tool for building anticipation and excitement. Starting tomorrow, I will start my tradition of the Advent Calendar of Books page, which includes 24 books; one a day right up until Christmas Day. Why not wrap up 25 books and leave them in a prominent place? 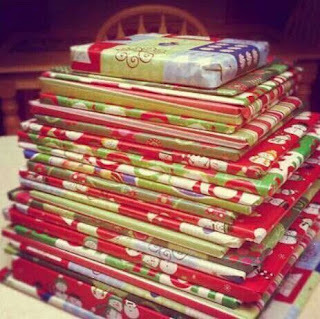 Each day, unwrap one book to read and share with family and friends....or even just to give yourself a moment to relax, enjoy and smile. They don't have to be new books, but it is nice to include a few brand new books to add to the variety and surprise. Picture books, seasonal collections and novels of winter which can be shared by all. Also, this can be adapted to suit any upcoming celebration, so if Christmas isn't your thing, don't feel left out. In fact, even if Christmas is the holiday you celebrate, wouldn't it be wonderful to include a few books about the other holidays celebrated at this time of year? As I said, in my own home, at this moment in the year, the stack of winter and Christmas books comes out and sits near the fire for all and sundry to pick up, read and enjoy...I just never thought of wrapping them! Genius! The weather has been very dramatic here, and it's easy to succumb to the dreary and dismal, dark days. Take the time to celebrate and life your spirits! Happy Holidays and happy reading! So, it's the last day of November. The weather is wild here in Galway and the season is hopping as we move firmly into the busiest time of the year. 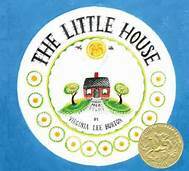 I hope you have all been keeping up with international Picture Book Month. Each day has given us a new picture book champion with insightful thoughts on the importance of the picture book, and I would say, not just their importance in the lives of small children, but in all our lives. If you've missed any, you can always scroll back through the post entries. You really wouldn't want to miss a thing. 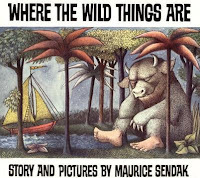 There are so many reasons that picture books stand out, but for me, perhaps the most important is in the memories picture books create and sustain. Take a moment. Ask yourself what you're very very memory of a book is and why. What does that memory mean to you? What feelings does it evoke? Hold on to that memory and let it serve you well throughout your own life. Then, pass that memory on to a small person in your life. It is in the warmth, the voice and joy of an adult that a child remembers meaning and love readily given through the sharing of a story. The Bord Gáis Energy Book Awards 2015 winners were announced in a ceremony last night, which took place in Dublin's Double Tree Hilton. The ceremony, celebrating it's 10th year, was attended by a host of Ireland's finest authors, publishers and booksellers. This year, over 45,000 book lovers across the nation voted for their favourite reads in each category. There are two children's categories, both of which had very strong shortlisted candidates, but, sadly, there can be only one winner in each. 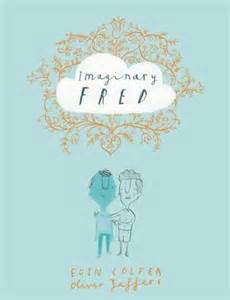 The Specsavers Children's Book of the Year went to the delightful, funny, warm and thought-provoking Imaginary Fred by Eoin Colfer (current Laureate na nÓg) and illustrated by Oliver Jeffers; published by HarperCollins Children's Books. 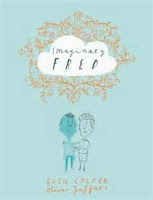 was the young adult title Asking For It by Louise O'Neill; publisher Quercus Books. A hearty congratulations to both...that was a tough list and coming out on top in the eyes of Ireland's discerning readers was quite a feat! You should be proud. For more information on the winners of the awards, just follow the link. It was announced today that David Almond is the 2015 winner of the Guardian Childrens Fiction Prize for his "fearless" and stunning novel A Song For Ella Gray. This is an incredible contemporary retelling of the Orpheus and Eurydice myth that chronicles the vignette in the lives of friends Ella and Claire, two sixth-form girls in the North East landscape of deserted, disused shipyards. Enter the vagrant Orpheus, re-emerged in this dreary landscape who so entrances Ella with a love so consuming that Claire loses her best friend to this mysterious stranger. As tragedy ensues, Claire creates a narrative elegy that is powerful, passionate and deeply felt. Almond places the reader firmly in the emotional landscape of the 17-year-old with eloquence, grace and a genuine voice; and beauty echoes this with the landscape which he chose to set his tale. Simply amazing. 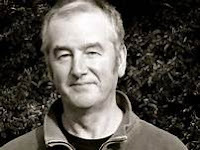 A hearty congratulations to David Almond, whose many books have enchanted and fascinated me for many years. His pivotal Skellig remains firmly in my best-books list, as I feel it is a book everyone should read at least every 2 or 3 years, as it completely, yet subtly changes your perspective. 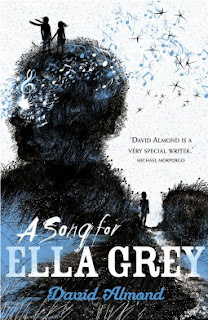 And A Song For Ella Gray is pure magic, filled with life and depth. Here's a quick post...the Costa Book Awards shortlist have been revealed. Of course, I am mainly concerned with what's happening in the childrens category, but the best of luck to all shortlisted authors and their wonderful books. In the childrens category, there is a very fine selection of four books and authors, so of which we are seeing rather a lot of lately. The winner of the Costa Childrens Award is also in with a chance to win the overall Costa, which hasn't happened in a while (2001, when Philip Pullman won for The Amber Spyglass), so maybe it's about time. Good luck to all the authors! It's time again for the Bord Gáis Energy Irish Book Awards. The shortlist have been posted and you have a few days left to vote for your favourite and best in Irish literature 2015. A fantastic selection of Irish books published this year are represented in the 13 different categories. But here, I am going to give a shout out for the childrens shortlists. There are but two categories, but what an incredible selection! In 1945, at the end of the second World War, Finnish author Tove Jansson published the first ever Moomin book, The Moomins and the Great Flood. 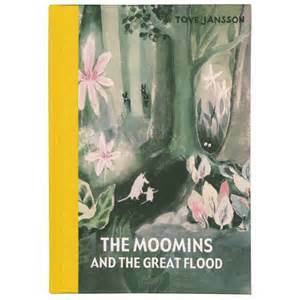 This book introduced the Moomins to the world; fanciful creatures that live in a realm just to the side of our own. In Moomins and the Great Flood, Moominmamma and young Moomintroll set off on an adventure to find the wandering Moominpappa and a warm place to live for the winter. Along the way, they meet amazing and imaginative folk; mermaids, sea-trolls, the Hattifattners, the ant-lion, blue-haired Tulippa, an 'old gentleman' (perhaps an inspiration for Roald Dahl! ), a boy with red-hair and many more who would come to grace the pages of so many more Moomin adventures in the following years. The Moomins are magical, curious little creatures with concerns and problems very much the same as ours. They solve their dilemmas using wit and by sticking together. This first book was (finally) translated into English in 2005, much later than the other Moomin books. A beautiful, hardback reproduction of the original is available from Sort Of press, faithful to the original, with each page holding the original illustrations by the author. Elegant, entertaining, whimsical and poignant, this book is a thing of beauty and wonder....and a must have for the entire family. 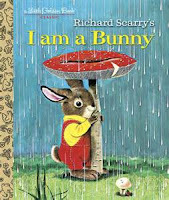 It is quiet and thoughtful, and while it doesn't have all the fast-paced, noisy action of the current crop of childrens books, it is one that will stay with you forever. 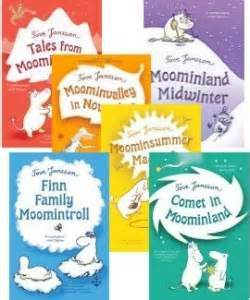 The intrepid adventures of Moomintroll are stirring and easy to relate to. If you have read the Moomin books yet, you really must. And share them with the young people in your life. Other Moomin books are readily available and all of them are a delight. For the winter months, I can thoroughly recommend Moominland Midwinter (in which Moomintroll decides not to sleep all winter, but goes out to explore the winter landscape) and Moominvalley in November (in which young Toft and others notice the change of the season and decide to venture to Moominvalley for a visit and an education from their Moomin friends). Happy 70th Birthday to all the Moomins and their friends! And thank you, Tove Jansson for creating these very special, marvelous beings. 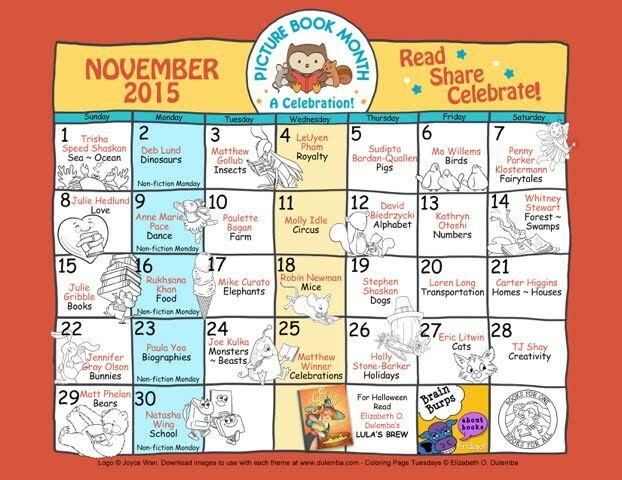 It's that time of year again...a time for us to learn, remember and celebrate why picture books matter! 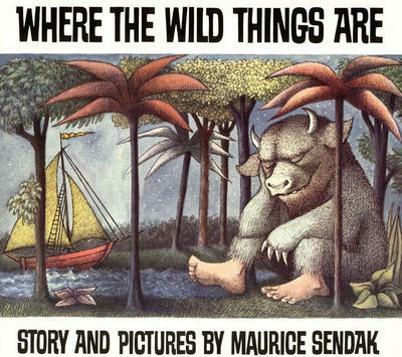 Picture books have such an impact on all our lives, as children and as adults. Some time ago, a very wise and wonderful initiative was started to celebrate November as Picture Book Month. 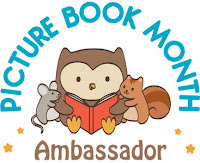 Each day features a different Picture Book Month Champion will present a brief post on the subject "Why Picture Books Are Important." 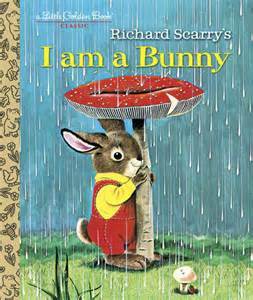 In these, they share their thoughts, experiences and, yes, even their picture books. Filled with information and enthusiasm, it's a 'can't miss' for parents, teachers...or anyone who loves picture books and wants to learn more about them. No less than any other literary form (and perhaps even more than...), picture books make a difference in the lives of people all over the world. 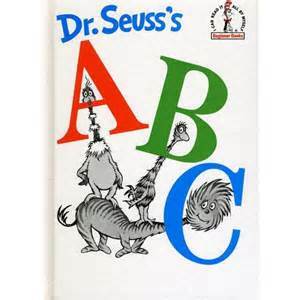 Children find information and imagination in picture books. They gain exposure to the lives of others; they learn about the world; they share in dreams and stories. And. picture books give children their very first experience and exposure to art. Today, 1st November, there's a writing by Trisha Speed Shaskan that talks about her experiences as an ELL teacher with picture books and one particular child that will warm your heart and make you smile. Trisha has written over 30 picture books for children. Her upcoming picture book, Punk Skunks, will be published by HarperCollins in February 2016. 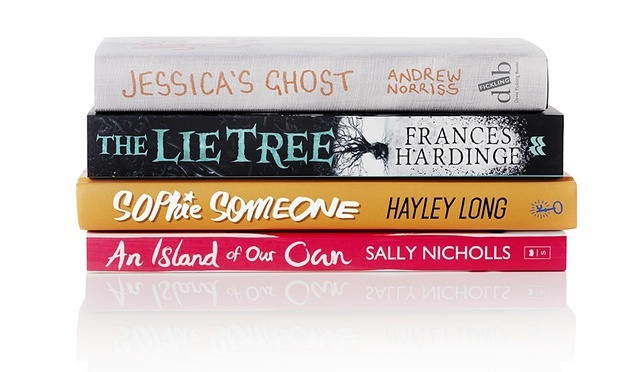 The shortlist for the Guardian Childrens Fiction Prize 2015 was announced yesterday. And what a shortlist it is! 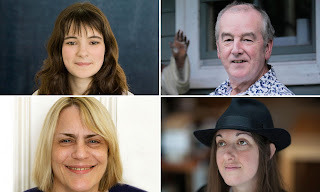 Sally Nicholls, David Almond, Kate Saunders and Frances Hardinge are all nominated for what is, in my opinion, one of the strongest lists ever. Sally Nicholls latest book, An Island of Our Own tells a treasure-seeking story for the contemporary age in a story of what it takes to make a family. David Almond is listed for his incredible retelling of the Orpheus and Eurydice myth in A Song For Ella Grey. An intense, moving, all-consuming love story, it is simply amazing. Kate Saunders has created a wonderful, wonderful sequel to the favourite childrens' classic, Five Children and It with Five Children on the Western Front. Moving and fascinating, the children are a bit older now, but the adventure and magic still grip the reader. Frances Hardinge's The Lie Tree takes us back to the Victorian era with a creepy, Gothic tale that begs the question, what if lies can you the power to discover other peoples secrets? A finely-crafted, stirring fantasy. Each of these novels looks back to earlier styles and themes in childrens' literature with exquisite story-telling, memorable charcterisation and deeper meaning that will stick with the reader for a long, long time, creating new classics n the making. My fingers are crossed for all of them! The winner of the Guardian Childrens Fiction Prize 2015 will be announced on Thursday, 19 November 2015.